Bullet trains like this one may one day connect Portland, Oregon, Seattle and Vancouver, British Columbia. (CN) – A high-speed rail line connecting Seattle and Portland with Vancouver, British Columbia, could be a possibility, as Washington state’s governor and British Columbia’s premier promised more funding Friday to study such a project. Continuing with their stated commitments to work together on issues of climate change and economic prosperity, Washington state Gov. Jay Inslee and B.C. Premier John Horgan announced the plan after Washington state legislators committed $1.2 million to study the feasibility of a high-speed rail line connecting Vancouver, Seattle and Portland, Oregon. At a press conference in Vancouver on Friday, Horgan said his province will contribute $300,000 to that study, building on commitments the two leaders have discussed publicly. Inslee said there is no guarantee that the high-speed railway will be implemented, but it’s something that is being considered. 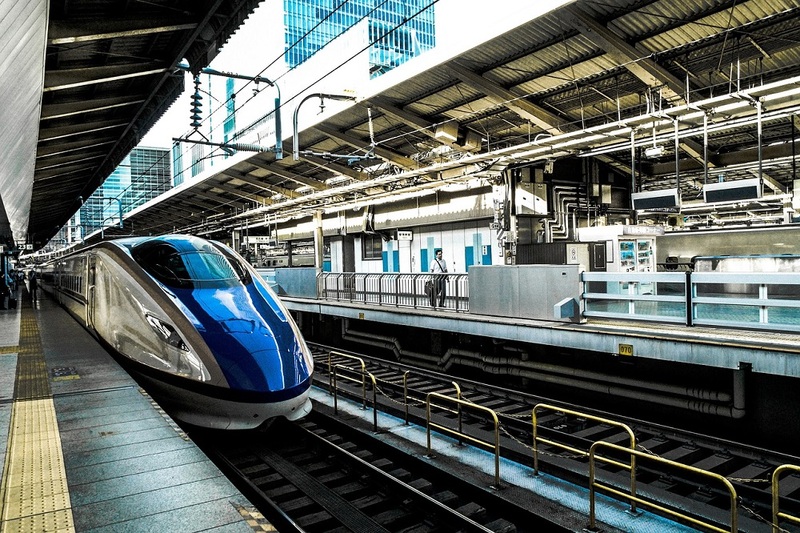 Both Inslee and Horgan noted that they could learn from Japan, which has a bullet train system regarded highly by transportation advocates. “Exploring the possibility of creating a clean, efficient high-speed corridor is particularly important as the Pacific Northwest grows in economic importance, and we look to reduce barriers to expansion across our borders,” Horgan said in a statement. The study will consider factors of practicality, such as financing and numbers of riders, the governor and premier said. Proponents say it would be a boon for economic development in the region, and combat income inequality by reducing commute times for workers. The announcement was made in conjunction with a meeting of the Pacific Coast Collaborative, which also included Oregon Gov. Kate Brown, and California’s environmental-protection secretary Matt Rodriquez. The collaborative, formed in 2008, is a forum for the three states and province to work on shared issues like clean energy, jobs and climate change.